Little, Brown Books for Young Readers, 9780316199728, 304pp. The Program has sent Boy Nobody on countless missions, instructed to kill whichever target he was given. But now, after going rogue, he is on his own mission to rescue his friend Howard, who was captured by The Program. Boy Nobody manages to free Howard as well as Tanya, a mysterious girl who was being held with him. Putting their skills to the test, Howard and Tanya help Boy Nobody collect information about his father, eventually revealing a dangerous secret that teaches Boy Nobody a valuable lesson -- he can't trust anyone. On the run from The Program, Boy Nobody must face his past, as he's forced to decide where his loyalties lie. 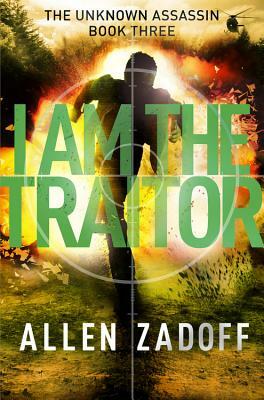 Allen Zadoff packs the final installment in the Unknown Assassin trilogy with even more action, higher stakes, and mind-blowing reveals that will leave readers riveted. Allen Zadoff is the author of several acclaimed novels, including Food, Girls, and Other Things I Can't Have, winner of the Sid Fleischman Humor Award and a YALSA Popular Paperback for Young Adults. He is a graduate of Cornell University and the Harvard University Institute for Advanced Theater Training. His training as a super spy, however, has yet to be verified. * "Zadoff shines in this violent, entertaining twist on the teen spy novel. [I Am the Weapon is] a tense and exciting story with a strong cast...blunt and hard edged narration and twists will keep readers riveted." * "[Boy Nobody] is like a darker version of Alex Rider, [and] Thomas in James Dashner's Maze Runner series...Fans of such fast-paced action novels should love this first installment in the [Unknown Assassin] series." "When James Bond was a little boy, he wanted to grow up to be half as hard-core as Boy Nobody."